Anyone interested in singing at the Gospel Concert Nov. 9 with Bohemian Red is welcome. Please be at the 6:30 rehearsal this Thursday. The VLQ will be singing “Down to the River to Pray,” which Bohemian Red has sung previously. The tracks and PDF are on the website. Please come to rehearsal with names and addresses of people you would like to attend to the Guest Night on October 18. We will have postcards that can be addressed and the chorus will send them out. Make a list right now, with at least one name. Add to the list for the next couple of weeks. Guest night will be a great opportunity to show prospective members what we can do. Last chance to get discounted accommodations at the convention. The date has been extended to get our room rates until Wednesday night 9/19 at midnight. If you have not reserved your rooms yet contact the hotel right away! Click here to make reservations. 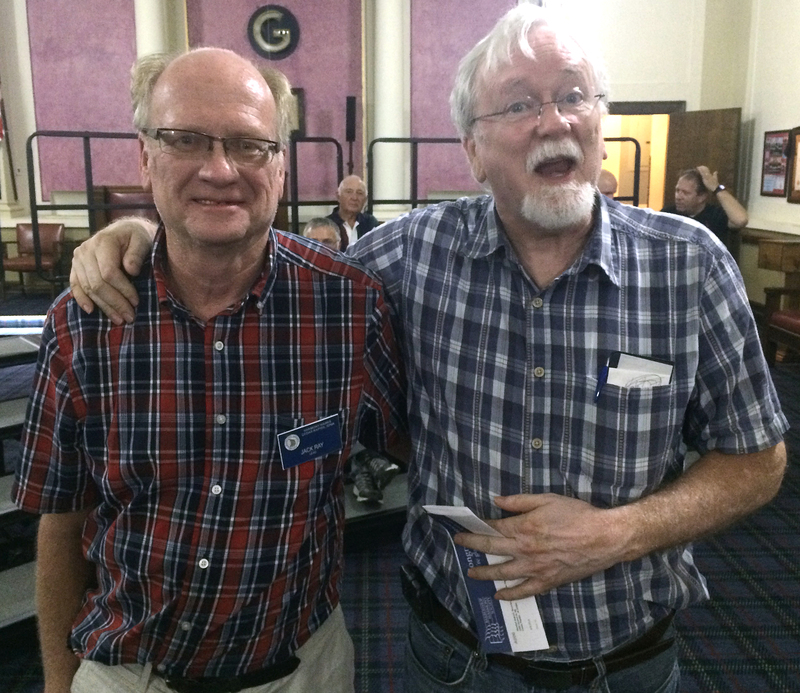 Returning last week for a brief exile to Canada (actually visiting grandkids), Al Huneke was recognized for his 13 years of membership in the chorus and the society. 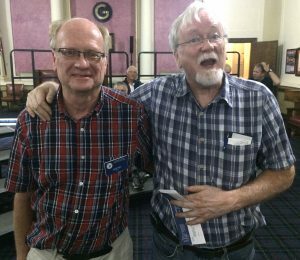 Al sings baritone with the chorus and in the Profound Sound quartet, and has served as Board Member at Large, and since 2015 as Treasurer.